Stand up for the bay! Our Freeholders play an important role in helping to protect and restore Barnegat Bay. 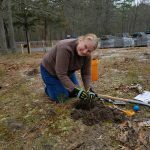 Much effort has been put into land preservation and recently stormwater improvements, but so much more is needed. YOU play a vital role in keeping them informed about what you see in your neighborhood. 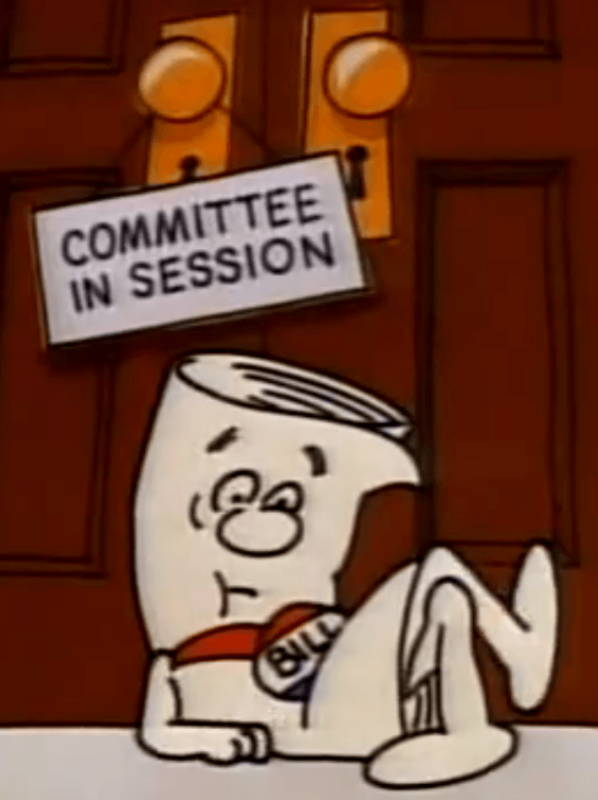 All meetings have a public portion and you are encouraged to bring your concerns forward. Calling all birders! Beginner to advanced birders are encouraged to join us for our free Great Backyard Bird Count at Browns Woods. Come meet us for a 45 min walk to help the bird populations in New Jersey. Chief Naturalist Chris Claus will be leading the bird walk and count. Like to mix-it-up and meet new friends that share your values? Hang out for a casual social event to meet other enviro-minded people. Immediately following, join us as we march in the Seaside Heights Saint Patrick’s Day Parade! 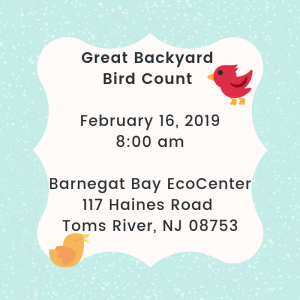 Save Barnegat Bay is hosting the annual Browns Woods Great Back Yard Bird Count at the Barnegat Bay EcoCenter. Our special guest Naturalist Chris Claus will be leading the walk through our beautiful 40 acres. 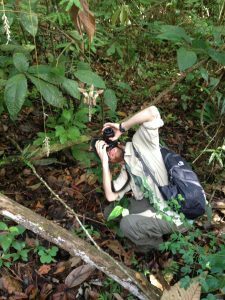 In addition our Board Member and avid birder Kevin Knutsen will be leading the data collection effort for Cornell Lab of Ornithology. See below for more info about the national event. We will have a limited number of binoculars for borrow on the day of the event. We are partnering with Manchester Township to bring Manchester residents their very own Rain barrel workshop! There will be an informative talk followed by a hands-on rain barrel building workshop. ALL ARE WELCOME TO ATTEND the educational talk. The first registered attendees will take home a 55 gal barrel courtesy of Manchester Township and Save Barnegat Bay. 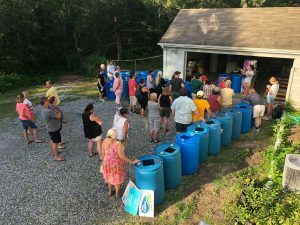 Want your town to host a rain barrel workshop? Let us know! Stormwater carries harmful pollutants such as excess nitrogen from fertilizers into Barnegat Bay. Rain barrels collect stormwater before that water can make it to the roads and carry pollution into our waterways. This rain water collected from your roof can be reused to water an ornamental garden, fill a bird bath, wash a car, and more! Build a rain barrel with us today to create a Smart Yard for a Healthy Bay!